Boogie Train Halloween Caper Halloween Scene It's a Mystery Jazzy Cat Night Sounds Pillow Fight! Scary Shadows Water Slide! 10 Pieces for Early Intermediate Pianists. By Melody Bober. For Piano. Piano Collection. 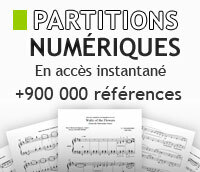 Grand Solos for Piano. Level: Early Intermediate. Book. 24 pages. Published by Alfred Publishing. 11 Pieces for Late Elementary Pianists. By Melody Bober. For Piano. Piano Collection. Grand Solos for Piano. Level: Late Elementary. Book. 24 pages. Published by Alfred Publishing. 9 Pieces for Intermediate Pianists. By Melody Bober. For Piano. Piano Collection. Grand Solos for Piano. Level: Intermediate. Book. 24 pages. Published by Alfred Publishing. Composed by Melody Bober. Book; Piano Supplemental; Promotional Packet. Favorite Solos. Recital. Published by Alfred Music (AP.106705). By Melody Bober. For Piano. Written For You. Solo Sheet. Published by The FJH Music Company Inc.
By Melody Bober. For Piano. Written For You Collections. American Gallery. Level: Late Intermediate. Solo Sheet. Published by The FJH Music Company, Inc.
By Melody Bober. For Piano. Written For You. Sheet. Published by The FJH Music Company Inc.
By Melody Bober. For Piano. Piano Solo. Written For You. Level: Intermediate. Sheet. 4 pages. Published by Alfred Publishing. By Melody Bober. For Piano. Written For You Collections. Around the World. Level: Late Intermediate. Solo Sheet. Published by The FJH Music Company Inc.
By Melody Bober. For Piano. Written For You Collections. Level: Intermediate. Solo Sheet. Published by The FJH Music Company Inc.
By Melody Bober. Arranged by Melody Bober. Willis. Book only. Size 9x12 inches. 24 pages. Published by Willis Music. Later Elementary Level. By Melody Bober. Arranged by Melody Bober. Willis. Book only. Size 9x11.75 inches. 20 pages. Published by Willis Music. By Melody Bober. For Piano. Melody's Choice. Level: Late Elementary/Early Intermediate. Book. Published by The FJH Music Company Inc.